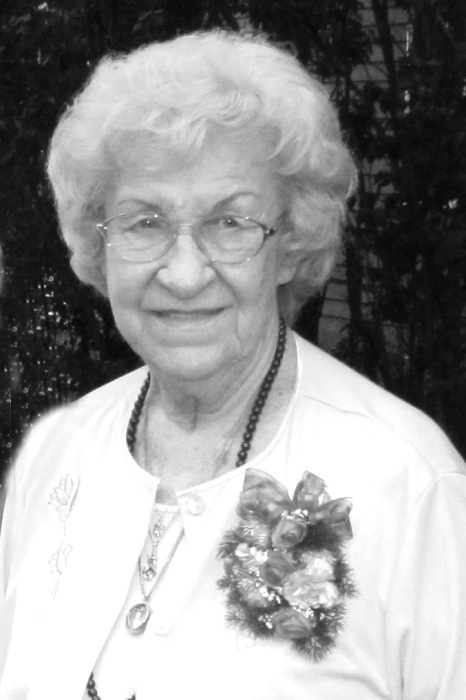 Loretta (Lottie) M. (Lemek) Heroux, 94, of Woonsocket, passed away on March 27, 2018 in Landmark Medical Center surrounded by family. She was the wife of the late Normand Heroux. Born in Rockville, CT she was the daughter of the late Frank and Josephine (Wlodyka) Lemek. She moved from Rockville with her family and grew up in Woonsocket. She moved to North Smithfield with her husband, recently moving back to Woonsocket. As a professional hairdresser, she worked for several years at Blanche’s Beauty Salon in Cumberland until her retirement. Each of her clients was very special to her and she was the ‘official’ hairdresser for her large extended family. Lottie enjoyed trips to Foxwoods and Twin River, playing Scrabble with friends and family. In her younger days she was an accomplished candlepin bowler, winning several championships, as well as traveling and dancing at polkabrations with Normand. She had been an active member of several senior groups in the Woonsocket area and an active volunteer for St. Stanislaus Church functions. She is survived by several nieces and nephews and their families for whom she had a deep special love. Lottie was the sister of the late Amelia (Millie) Jaworski, Celia Bonoccorso, Matilda (Tillie) Budnick, John Lemek, Matthew Lemek and Edward Lemek. A Mass of Christian Burial will be celebrated on April 7, 2018 at 11:00am in St. Stanislaus Kostka Church, 174 Harris Avenue, Woonsocket. Burial will be private. In lieu of flowers, donations may be made in her name to St. Stanislaus Kostka Church, 174 Harris Avenue, Woonsocket, RI 02895. Kubaskafuneralhome.com.